We’ve come a long way in 27 years. In March of 1992, then–Arkansas governor Bill Clinton admitted to experimenting with marijuana while he was a student at Oxford University. “I didn’t like it. I didn’t inhale it, and never tried it again,” he said. Host Charlamagne tha God asked if she would smoke again provided marijuana is legalized. 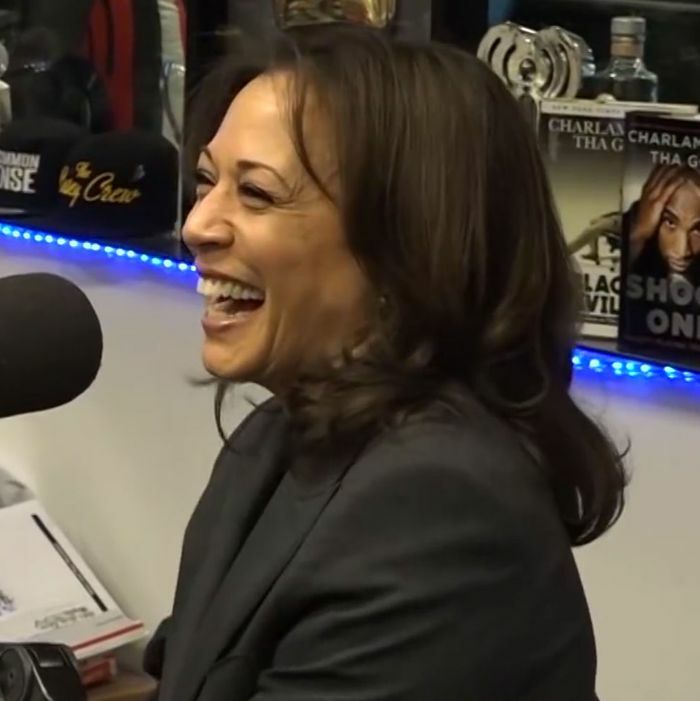 Harris, who said she smoked a “long time ago,” didn’t answer, but she did use the language of Marie Kondo to endorse weed. “Listen, I think it gives a lot of people joy and we need more joy in this world,” she said. Harris’s admission came after she was asked her about her stance on the legalization of marijuana. She said she supports it. “Half my family’s from Jamaica. Are you kidding me?” she joked. Just a few months later, Harris’s evolution on the issue was complete. “Making marijuana legal at the federal level is the smart thing to do and it’s the right thing to do,” she tweeted. She also signed on as a co-sponsor of the Marijuana Justice Act, a bill to make marijuana legal at the federal level. Introduced by Senator Cory Booker, who’s also running for president, the bill has been co-sponsored by 2020 hopefuls Elizabeth Warren and Kirsten Gillibrand. Likely candidate Bernie Sanders is also onboard.